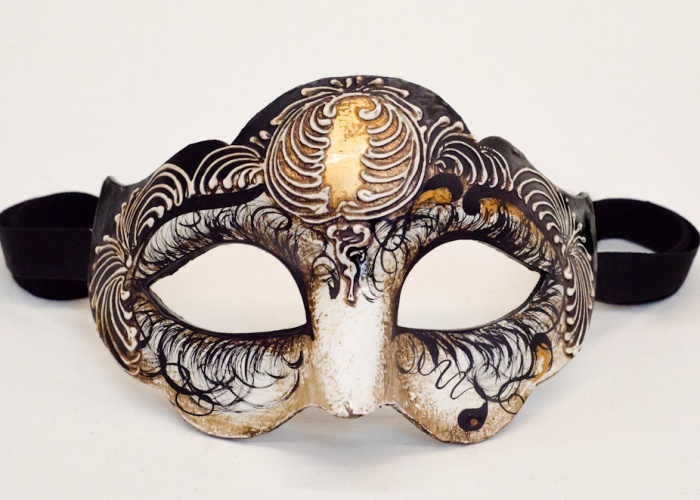 The colombina mask 'Betty 1' is handmade from real cartapesta right here in Venice. Hand-painted with acrylic colors and given a glossy varnish. The finish includes a refined intertwining stucco on gold leaf. Light and very practical to wear.